The customer had an old PCM2 fitted in their Boxster, this lacked Bluetooth and iPOD and the navigation was very old and slow. We decided to remove the PCM2 and retrofit a new Pioneer touch screen navigation system. This included bluetooth, iPOD, iPhone and may more features. 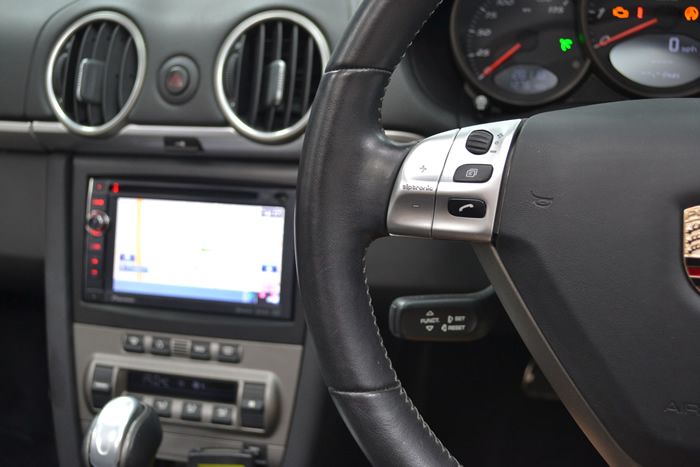 We fully integrated this new unit into the cars steering wheel controls and BOSE systems. Cartronics use Porsche Diagnostic systems IN HOUSE.